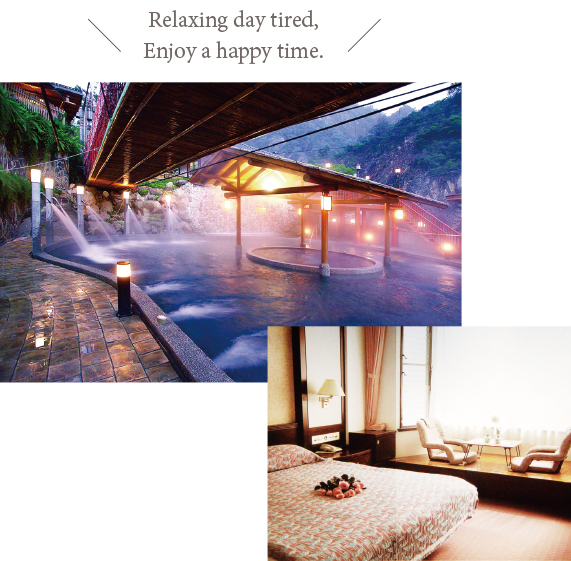 Feel as daytime sightseeing in the evening choose local B & B, quiet environment, also admitted to the spa hotel, comfortable bubble soup, it will wash away the day's fatigue, expel the food, lying in a comfortable bed to sleep. 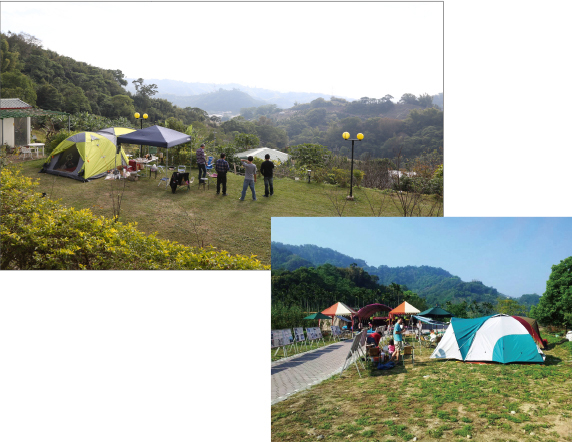 Camping is a Happy and happy, Ruanbikeng Wu Fu Gan Du camping site, Saddle farm, Shan Shui Hai Ecological farm, sparsely light pollution at night and enjoy the starry is the happiest thing. Camp spacious and safe, spectacular view, green hills, the provision of basic sanitary equipment park, sanitation convenience. 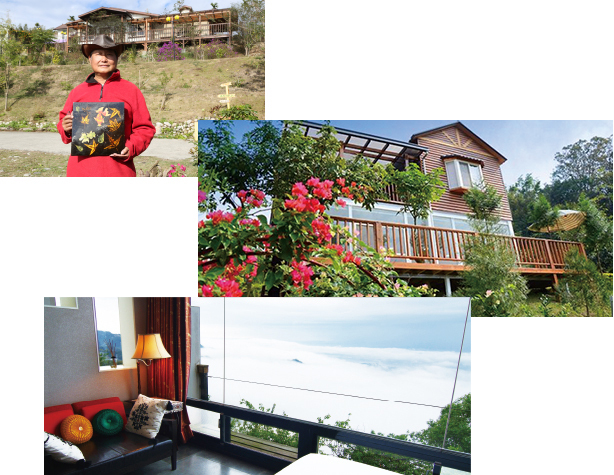 By the locally owned bed and breakfast, Japanese-style combination of characteristics in the ground - Brightmoon Hotel; houses combined boss crafts Features - Shan Shui Yun Ecological Farm; clouds over Taiwan's most beautiful B & B - Rollin Farm; producing coffee farm houses - Dou Feng Farmhouse., absolutely let you have a memorable experience. Taichung Ku Kuan is a famous bathing area, but also because of early development, everywhere spa hotel, Facilities novel combines comfort, caring service, enjoy a comfortable holiday stay. Valley is located off the mountain, beautiful, quiet, won the favorite guest, you can not miss attractions.